Influitive, a provider of advocate marketing software, acquired mobile relationship management application Triggerfox. No financial terms of the deal were disclosed. Influitive will be incorporating Triggerfox's technology into its platform, so that sales representatives can also have access to advocate marketing. The core Triggerfox tech will be unified with Influitive. That means that the entire four-person Triggerfox team will be coming to work at Influitive. Frank Falcone, the company's co-founder and CEO, will be the company's senior officer in charge of the company's mobile apps. 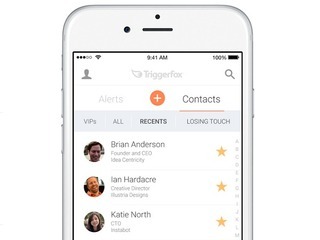 Founded in 2012, the Toronto-based Triggerfox had raised $2.6 million in venture funding from HubSpot co-founder Dharmesh Shah, Crashalytics co-founder Wayne Chang and Vleepo CEO Matthew Staikos. The company has 5,000 users. AppDirect, a cloud services marketplace, acquired Xendo, a provider of hosted enterprise search. No financial terms of the deal were disclosed. Going forward, AppDirect will offer Xendo as a standalone app inside its network, for partners to sell to businesses. The company will also used Xendo's technology to build intelligent search capabilities into its platform, and plans to offer this feature sometime this year. While AppDirect is incorporating its technology, Xendo will also remain a stand alone, independent company, where it will be able to leverage AppDirect's network. The two companies had worked together previously, with AppDirect being a Xendo customer. Founded in 2013, Xendo had raised $28,000 in seed funding from Alchemist Accelerator. Chinese game publisher Youzu Interactive acquired German game developer Bigpoint. The deal is worth up to 80 million euros, or $89.68 million. For the next step, Youzu Interactive aims to increase the proportion of its overseas revenue. The acquisition of Bigpoint will with this goal by granting Youzu Interactive access to its game development capability and IP resources. Bigpoint's games include Dark Orbit, with has 82.55 million registered users, Seafight, with 42.55 million users, and Drakensang Online, with 32.77 million users. Bigpoint had raised $460.49 million in venture funding. Cash-back shopping site Ebates acquired mobile product discovery app Shopular. No financial terms of the deal were disclosed. The acquisition will strengthen Ebates’ position in the mobile shopping category by offering shoppers relevant deals and coupons directly on their mobile phones through Shopular’s powerful, proprietary geo-targeting capability. Founded in 2012, Shopular had raised $13.6 million in venture funding from Sequoia Capital, Adam D'Angelo and Y Combinator. Ebates was purchased by Rakuten for $1 billion in 2014. Glispa, a mobile advertising company, acquired MoneyTap, a gevenue generating and monetization tool. No financial terms of the deal were disclosed. Glipsa used the acquisition to relaunch its ad mediation platform under the name Ampiri, which provides developers/publishers with more transparency and control over demand sources and audience insights than any solution on the market. MoneyTap was incubated by i-Free and Creative Mobile. Cloudera, a big data software company, acquired Sense, a platform for data science and big data analytics. No financial terms of the deal were disclosed. Sense says it plan to continue working with its customers to make it the most powerful and productive platform for data scientists and data engineers. Founded in 2012, Sense had raised $1.26 million in venture funding from ACE & Company, Auren Hoffman, Granite Ventures and Illuminate Ventures. Ola, an Indian e-hailing app, acquired Qarth, the developer of a mobile payment application. No financial terms of the deal were disclosed. Quarth's product, mobile payments app X-Pay, is going to remain live for now, but its technology will likely integrated into the company's payments app, Ola Money, in the futute. Co-founders Abhinav Srivastava and Prerit Srivastava, along with the rest of their team, will be joining Ola Money. Intralinks, a content collaboration company, acquired Verilume, a cloud infrastructure company. No financial terms of the deal were disclosed. The acquisition builds on Intralinks’ strategy to provide its clients with business solutions for high-value content collaboration across boundaries, while also meeting stringent global data governance and security requirements. The Verliume team will be joining Intralinks, including founders Dan Petrozzo and Mike Feinberg. Petrozzo will become senior vice president, external operations and global support, while Feinberg will assume the role of senior vice president, development. Founded in 2006, Veilume had raised $85 million in venture funding. Swiss me­dia compa­ny Ringier Africa Deals Group acquired Nigerian online shopping platformDealDey. The financial terms of the deal were undisclosed. The acquisition represents an expansion of Ringier Africa’s portfolio beyond publishing and digital marketing in Nigeria and Silvertree’s first e­commerce investment in the country. It sees the two companies invest significantly in Nigeria’s fast­growing multi­billion dollar e­commerce sector as part of their partnership in the Ringier Africa Deals Group. Kehinde Oriola will continue as the CEO of DealDey as part of RADG, while co-CEO Etop Ikpe will be leaving the company. As acting CEO of RADG, Damien Bonnabel, current Head of e­Commerce for Ringier Africa and General Manager of Ringier Kenya, will be working with the management of DealDey and the group’s other companies. Founded in 2011, DealDey had raised $5 million in venture funding. Jumio, a payment and ID validation provider, filed for bankruptcy and sold its business to investor Eduardo Saverin. No financial terms of the deal were disclosed. The company took this course of action, citing certain legacy issues combined with related government investigations and proceedings have made it difficult for it to secure necessary funding for its operations. Saverin formed Jumio Acquisition to buy the assets, and is also providing the startup with $3.7 million in financing to support its ongoing operations. The company’s subsidiaries located outside the U.S. are included in the sale. Jumio expects all of its operations to continue without disruption during the sale process. 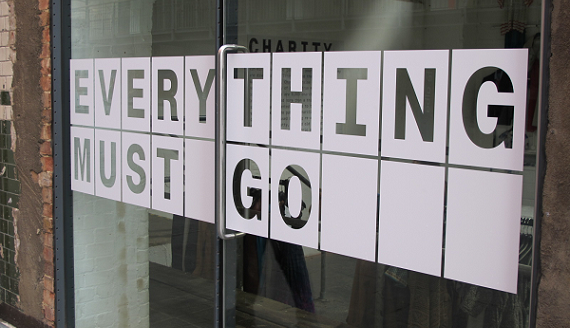 Customers and employees should see no interruption as a result of this process. The sale will be subject to other bids that may be received. FullContact, a contact management platform, acquired Brewster, a social address book. No financial terms of the deal were disclosed. Brewster will be shutting down, and users will have the ability to migrate to the FullContact platform. Existing Brewster customers will be getting credit for any premium subscription fees they’ve already paid. In addition, all Brewster users will receive FullContact Premium service completely free for three months when they migrate from Brewster to FullContact. Steve Greenwood, Brewster’s Founder and CEO, will not be coming to work at FullContact. Degreed, an enterprise learning portal, acquired Gibbon, the creator of a popular platform for curating "playlists" of learning content. No financial terms of the deal were disclosed. Gibbon will enable Degreed to enhance its product experience and expand its global reach. The acquisition will also give Degreed its first international office, in Leiden, The Netherlands. Over the coming months, Gibbon clients and users will have the option to either migrate their accounts to Degreed or to download RSS feeds of their existing playlists. Olapic, a visual marketing platform, acquired Piqora, which helps of brands boost revenues from authentic user generated photos. No financial terms of the deal were disclosed. Piqora’s technology, including content scheduling for Instagram and Pinterest, measurement, analytics and reporting tools, and its shoppable Instagram solution TapShop, will be integrated into the Olapic visual content marketing platform. As part of the acquisition, Piqora’s San Mateo, CA operations and team will be merged into Olapic. Founded in 2012, Piqora raised $11.2 million from Altos Ventures, Baseline Ventures, Draper Fisher Jurvetson, Freestyle Capital, Lazerow Ventures and WTI. wikiHow, a wiki-based community consisting of an extensive database of how-to guides, acquiredGuidecentral, a platform for makers and DIY fans. No financial terms of the deal were disclosed. Guidecentral will remain in operation, with more categories, including recipes, pet care and tips on starting a business. Founded in 2012, Guidecentral raised $1.5 million in venture funding from various investors. Cocon, a provider of planning, design, production, and sales of 2G and 3G animation products,acquired Internet security diagnosis startup Ierae Security. No financial terms of the deal were disclosed. Ierae Security became a wholly-owned Cocon subsidiary upon Cocon buying up the company’s total outstanding shares. Ierae Security was founded in 2011 Its clients include Cybertrust Japan, Sammy Networks and CyberAgent. 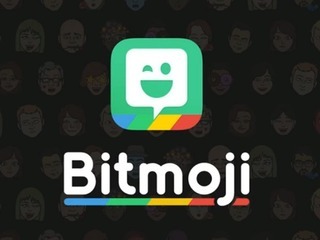 If this purchase does go through, it's likely that Snapchat wouldn't have much interest in Bitstrips as a product, but rather Bitmoji, which allows users to create avatars of themselves and then insert them anywhere they communicate on the Web, including Gmail, Messenger and Slack. Founded in 2007, the Toronto-based Bitstrips raised $11 million in venture capital funding from investors that include Horizons Ventures and Kleiner Perkins Caufield & Byers. Galavantier, an online travel company that curates one-of-a-kind travel experiences, acquiredBucket, a company that allows travelers to collect trip recommendations. No financial terms of the deal were disclosed. Bucket has formally ceased operations, and its technology will be integrated into the Galavantier experience, helping it to create curated experiences. Bucket raised nearly $1 million in funding from 500 Startups, Slow Ventures, as well as a number of other angels. Shopular learns from your behavior and preferences to make the experience more targeted and personalized every time. Shopular is available on both iOS and Android.